Leading a support group can be a rewarding and a positive growth experience, however, it can also be very challenging. Support groups are among the best and most popular approaches to empowering and connecting people. This workshop is designed for those working or intending to lead and facilitate support groups for those experiencing grief or loss. Judith Robinson has worked alongside volunteers in many community based organisations for over 30 years. She has been a volunteer in many different roles. 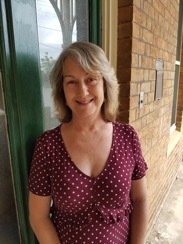 Currently the Coordinator of a wonderful volunteer NGO in palliative care, Judith provides compassionate, flexible care for each person to meet their needs and those of their carers is what we have done for 28 years. She is passionate about caring for people in pain from grief, something she sees through her work all the time. Her experiences growing up caring for parents going through their own pain and sufferings has lead her to continue looking for new ways of caring and supporting people at the end of their lives and their carers. She sees these life lessons are of benefit to incorporate with their volunteers now and in the community hospice they are on the path to creating for their community.